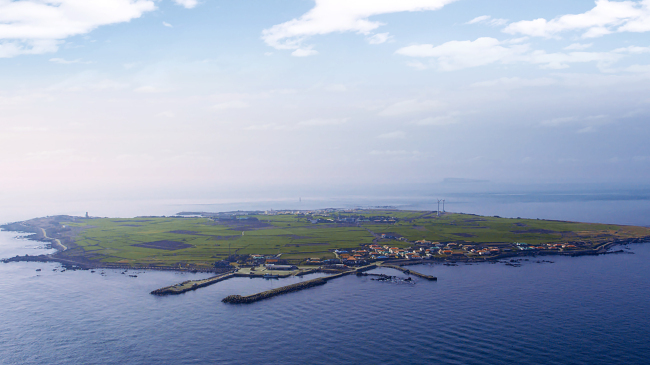 Gapado is a small island located between Jeju Island and southernmost islet of Marado, known for its idyllic pastoral scenery and annual green barley festival, which attracts some 60,000 visitors. Over the years, the island’s population has been in decline, as young people leave in search of jobs. In the 1970s, the island had a population of more than 1,000; today that figure is down to 170, with only about 120 people actually living there, most of them making a living in fishery. The “gapado project” is a project aimed at building a sustainable economic infrastructure that will not only help the residents, but also bring back those who have left for jobs elsewhere. 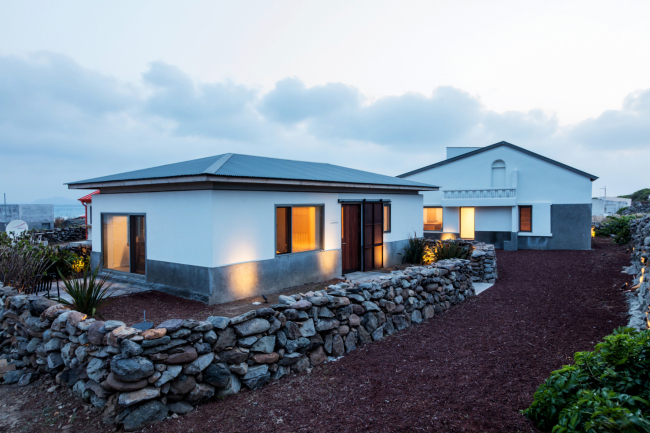 Initiated in 2012 and co-developed by Hyundai Card, the government of Jeju Special Self-Governing Province, architectural studio One O One and the local community of Gapado, the project was unveiled to the press Thursday. “We wanted to make the lives of the residents more abundant, while keeping the beauty that the island has been always identified with,” said Hyundai Card Vice Chairman Chung Tae-young, during a press conference held on Thursday at the warehouse-turned-village assembly hall in the islet. Several facilities, including a terminal, a snack bar, an archives room, six houses, a fishery center and an artist-in-residence building have been completed so far, most of them reconstructions or remodeling of existing buildings. 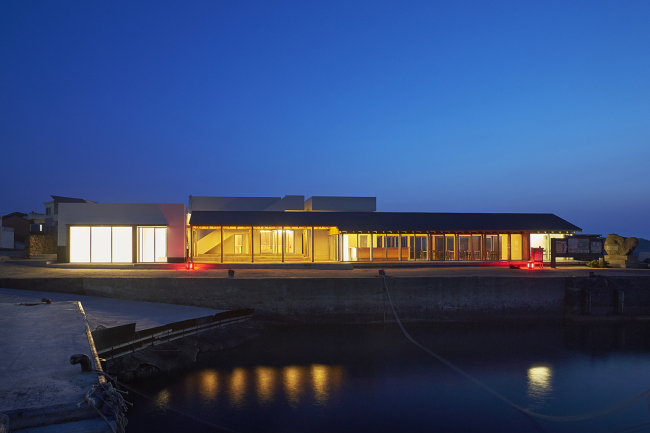 Approaching the island, visitors are first greeted by the one-story terminal building, remodeled to resemble the flat landscape of Gapado. “About four years ago, the representative of local haenyeo -- or women divers -- came to my office and asked if I knew that the ocean also has four seasons. She then told me the minute details of the seasonal changes in the island’s scenery and landscape,” said architect Choi Wook of architectural studio One O One during the press conference. “The talk led me to think the architecture should embrace the islet’s landscape and scenery because they will later become what the next generation of people will remember,” he said. Behind the terminal, there are houses and barley fields, which make up almost two-thirds of the land. Amongst the houses are project houses that have been remodeled and reconstructed based on vernacular architecture style. These houses will later be used as travelers’ lodgings. A fishery center designed for haeneyo and residents to sell food made with seafood harvested from the ocean will also get assistance form Hyundai Card in the form of visiting chefs who will offer cooking classes and provide consultation to people operating the restaurant. A few minutes walk from the fishery center is the artist-in-residence building which is located on a hill. 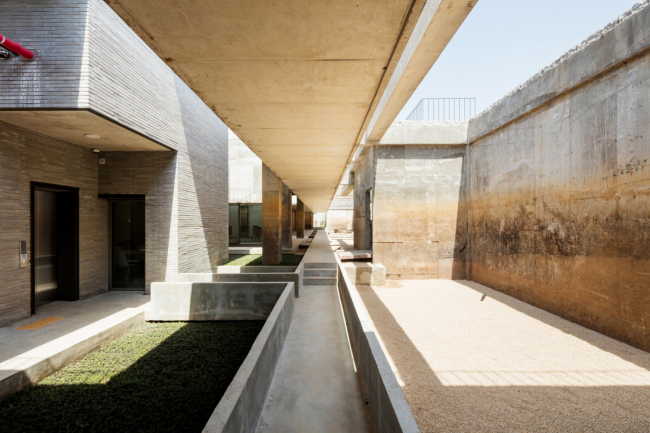 The remodeled building consists of individual workshops, lodging and communal spaces. The architecture is largely characterized by the use of existing structure, including the water stained walls and uncovered frames. The three-story pillar of “gapado AiR” and the stairs that go around it also offers the visitors a 360-degree view of surrounding landscapes. ”It reconstructed what was basically the ruins of a failed project and turned it into something functional but also aesthetically pleasing,” said Martino Stierli, The Philip Johnson Chief Curator of Architecture and Design at The Museum of Modern Art.. There are currently seven artists-in-residence, recommended by a committee of curators and directors from the Tate Modern, the Museum Of Modern Art and the National Museum of Modern and Contemporary Art. The artists include installation artist Chung So-young, Aamu Song and Johan Olin of Helsinki-based a design duo Company, artist Eliana Otta Vildoso from Peru, media artist Yangachi and Jane and Louise Wilson. 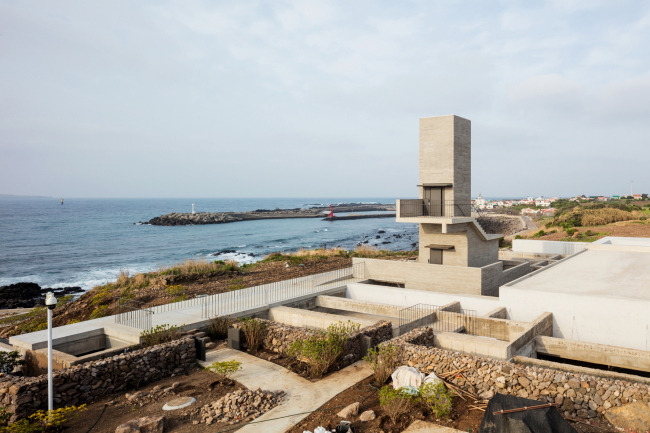 “For the artist-in-residence program, the committee has tried to recommend artists, who are best suited to tell stories and history related to Jeju and Gapado. For an instance, Jane and Loiuse Wilson, who previously worked on a project regarding Ukrainian city devastated by the Chernobyl explosion, seemed to be the case in particular,“ said Lee Sook-kyung, Tate‘s Senior Research Curator at Tate Research Center and Curator of Tate’s Asia Pacific Acquisitions Committee.